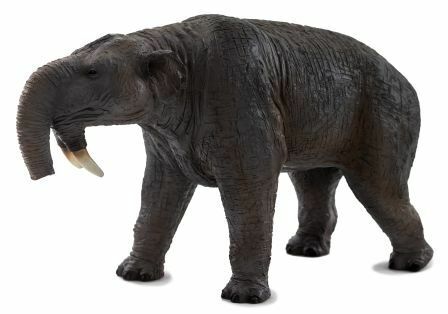 Deinotherium outwardly resembled modern elephants, except for the fact that it had downward facing tusks attached to its lower jaw and a shorter trunk. It is however believed to diverged early in its evolutionary history from elephants. Tags: deinotherium, Mojo< prehistoric figures.